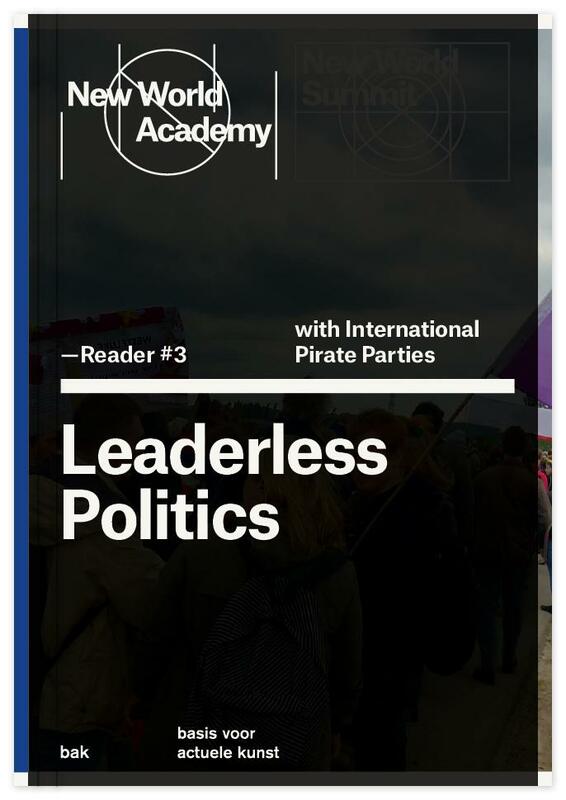 The international Pirate Parties consist of about 40 political parties worldwide, initiated by the founding of the first Pirate Party in Sweden in 2006. The parties present themselves as practitioners of leaderless politics, convinced as they are that the cult of leadership has long undermined the possibility of a true, direct democracy. The parties defend a process of permanent voting through an approach they term Liquid Democracy, in which online forums are maintained by each Pirate Party that give members the opportunity to continuously vote on new proposals. Despite the fluid nature of their programs, the parties nonetheless remain committed to defending several of their key causes, which include supporting a free and open Internet, common intellectual property, and the establishment of strong privacy laws to protect Internet users. With contributions by: Heath Bunting (artist, net activist, and cofounder of www.irational.org, Bristol), Becky Hogge (writer and technologist, Cambridge), Birgitta Jónsdóttir (Pirate Party Iceland, Icelandic Modern Media Initiative, cofounder of WikiLeaks, Reykjavík), Geert Lovink (media theorist and founder of Institute of Network Cultures, Amsterdam) & Merijn Oudenampsen (sociologist and political theorist, Amsterdam) with Willem van Weelden (new media writer, Amsterdam), Matt Mason (writer, vice president of marketing BitTorrent, San Francisco), design studio Metahaven (Vinca Kruk & Daniel van der Velden, Amsterdam), and Dirk Poot (Pirate Party of the Netherlands, The Hague).